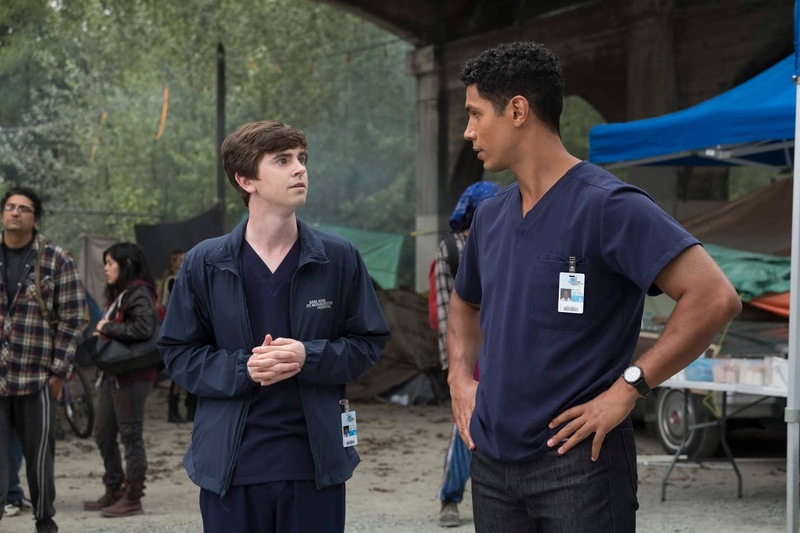 The Good Doctor is one of a few shows that has managed to grab hold of our hearts, without clinging larger-than-life catastrophes. This show doesn’t need gimmicks, which we should all appreciate. Instead, its focus remains on the premise — that of a young, autistic doctor trying to be accepted as an equal in a demanding profession. Some shows switch up the direction as time progresses, straying from the pilot’s central question. For The Good Doctor, that question was whether or not a person with autism can thrive in a demanding profession. He can do the job, and he can be taken seriously in the job, but can he succeed long-term? That ends up being the central question for all the residents, which is the point. At the end of the day, there is no difference between all of the residents’ struggle. They’ll just go about getting to that end goal in different ways. Which brings us to season two. Each second year resident has their own weaknesses that they have to work on. The path for each resident was laid out by Dr. Andrews, who has now taken the hospital presidency from Dr. Glassman. The advice is as you’d expect (Morgan lacks compassion, Claire lacks initiative, etc). Everyone knows that Shaun needs to work on his communication skills (though he actually works quite well with the homeless community). Of course, Andrews is more of a managerial type of doctor. Every hospital — especially one that needs funds to not only thrive, but provide outreach programs — needs one. But like his residents moving into their second year, he too has things to learn. If he hopes to keep this job as long as Glassman did, he has to push his doctors into trusting their abilities. In a weird cyclical way, that is how Andrews will learn to trust them in return. It would be nice if he could have done this before prematurely creating buzz for a major cardio surgery before its risks were properly assessed, but live and learn. Dr. Andrews proved he was more than an antagonist by chastising Dr. Kalu’s actions last season, and he was right. Kalu compromised himself in more ways than one, and he used a false claim of racial discrimination to minimize his own mistakes. In the long sequence of events, you could pick apart the why and the good intentions in it all. But ultimately, Andrews was right — and Kalu knew it. It doesn’t invalidate all of Kalu’s good work, but he could use a fresh start. Not before pushing for one last case, and one final lesson, with his friend though. Everything that Jared Kalu did in this episode was bittersweet and completely right. He was right to stand up for himself and his right to treat a patient. He was right to stand up for Shaun with Andrews, asking the man to respect Shaun when he is trying to speak, in his own way. And Kalu was also right to turn down Claire’s request to stay. It was made out of guilt more than anything else. Living in a fantasy world of "what if’s" helps no one. It just makes you twitch to realize that Kalu displayed his best self once he had one foot out the door. At least he was able to leave Shaun with some food for thought. For the first half of this episode, Shaun refused to see Dr. Glassman. Since he can’t physically do anything, he doesn’t see the point. "Just being there" is an abstract concept. And this point, I cannot stress enough: The first rule to understanding someone with autism is that they have trouble with abstract concepts. It does not make Shaun obtuse or unaffected. It just means he has feelings he cannot adequately make sense of, so he keeps things in practicalities. Even when Shaun finally does go see Glassman, he is quickly inspired into action regarding his homeless patient. This leaves Glassman to the mercy of his oncologist, Dr. Marina Blaize (House alum Lisa Edelstein). She is also one of Glassman’s former mentees — one who won’t take his pushy self-treatment. She’s the kind of doctor who has the strong spine to treat other doctors. Between her putting her foot down, and Shaun keeping his mentor focused on the facts, Glassman is in for a rough road ahead. Freddie Highmore's character's name is Shaun and not Sean.